In July 2016, Tor.com, one of the biggest publishers of science fiction and fantasy, began giving away eBooks. The giveaways are a part of their Tor.com eBook Club that you can join by signing up for their newsletter. This eBook Club is a smart move by Tor as it introduces readers to both master authors like Gene Wolfe and new stars like Cixin Liu–effectively exposing readers to nothing less than the crème brûlées of speculative fiction. 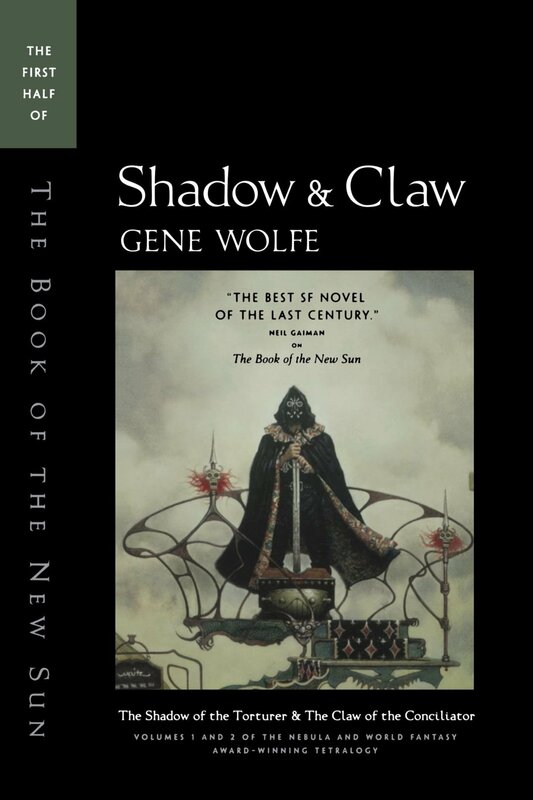 I didn’t hear about the book club until the start of March 2017, when the giveaway was Wolfe’s Shadow and Claw: The First Half of the Book of the New Sun. Shadow and Claw portrays the unlikely quest of a torturer’s apprentice named Severian. The narrative weaves back on itself insanely at times, invariably building expectations and then just as quickly defeating them. The first expectation the narrative defeats is that this is going to be any type of conventional quest story. The result of Wolfe’s writing could be nerve-wracking for some readers expecting a more traditional story with conventional fantasy people-going-on-a-quest conventions. It’s clear Wolfe has had a significant influence on some of the most well-known authors writing today and would be a great addition to your to-read list. Read more about Wolfe and his career here. You can get a free copy by following this link or clicking on the image below. The offer ends at 11:59 PM ET on March 24th, 2017. M. J. is an award-winning short fiction writer and author of a forthcoming nonfiction book. He loves science fiction, humor, & literary fiction and is the director of Write Draft Critique: the Virtual Writer Workshop.